Scotland's largest animal welfare charity has sold its investments in an oil company that tests products on animals. 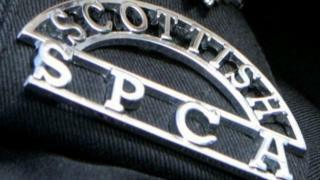 The Scottish SPCA move came after it faced public criticism for holding a £600,000 stake in Royal Dutch Shell. Shell has admitted experiments on animals including rabbits, rodents, birds and fish. The Scottish SPCA said it had sold the shares following "a full review" of its investment portfolio. The charity had argued that most of its shares in Shell had been donated by supporters - but did admit to buying some shares back in 2005. Figures published on Shell's website show the firm was involved with laboratory experiments on more than 100,000 animals in 2015. Critics had accused the charity of dragging its feet on the issue, which was brought to its attention by journalists in November last year.